You may wonder: is BODY SCRUB really necessary? Turns out that your body really needs natural and organic exfoliating! 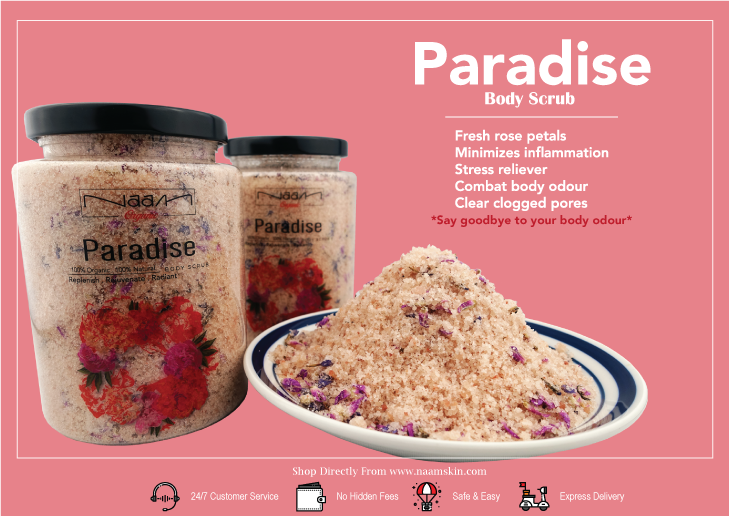 Paradise Body Scrub key ingredients are Himalayan Salt, Geranium Oil, Fresh rose petals such as Forget-Me-Not and Amaranth flowers.